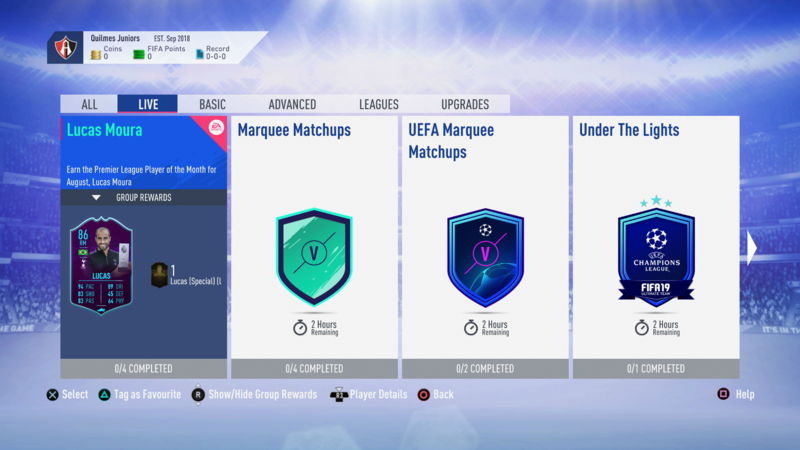 EA regularly changes up the Squad Building Challenges in FIFA 19, often to highlight current matchups or in-form players. One type of SBC that regularly crops up is the Player of the Month SBC. 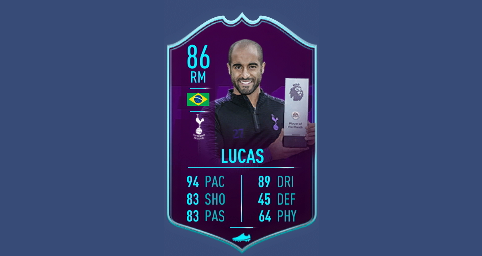 The current POTM SBC is for Spurs right midfielder Lucas Moura, offering a full player card as the top prize, with an 86 overall rating. In this FIFA 19 Lucas Moura SBC Guide, we’ll list the cheapest solutions for each of the Lucas Moura SBC. We’ll cover all four steps, and also take a look at the loan Lucas Moura SBC as well. For more on FIFA 19, be sure to check out our FIFA 19 Guides Hub. It’s filled with awesome info on the game, including a look at the FIFA 19 Best Young players, FUT 19 Icons, and more. Note: Some of the squads below were created using player data sourced from http://go.redirectingat.com?id=87431X1573192&xs=1&url=https%3A%2F%2Fwww.futhead.com%2F. This includes pricing info used to determine the best possible combinations for each challenge. To satisfy these objectives and take home the reward of a Jumbo Premium Gold Pack, we recommend you go with the squad below. Note that at the time of writing, this lineup is one of the cheapest solutions, though is subject to change with transfer market valuations. To beat these objectives and take home the reward of a rare Gold Pack, we recommend you go with the squad below. Note that at the time of writing, this lineup is one of the cheapest solutions, though is subject to change with transfer market valuations. 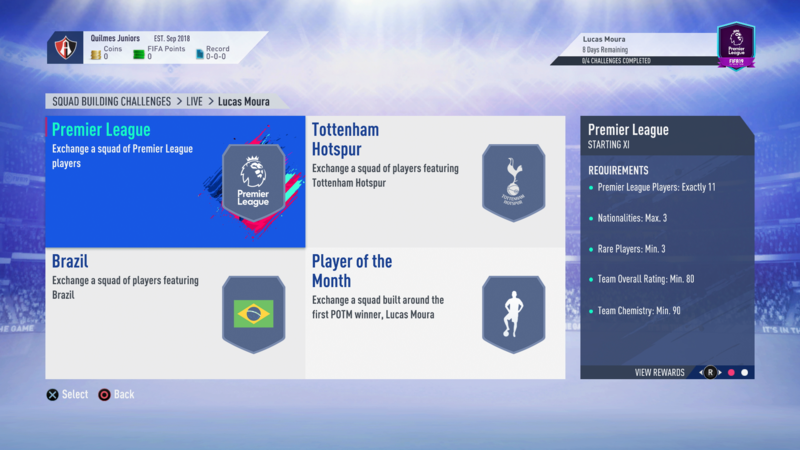 Finally we have the Lucas Moura Player of the Month SBC. It requires you to put together a squad satisfying the following conditions.